Be informed. 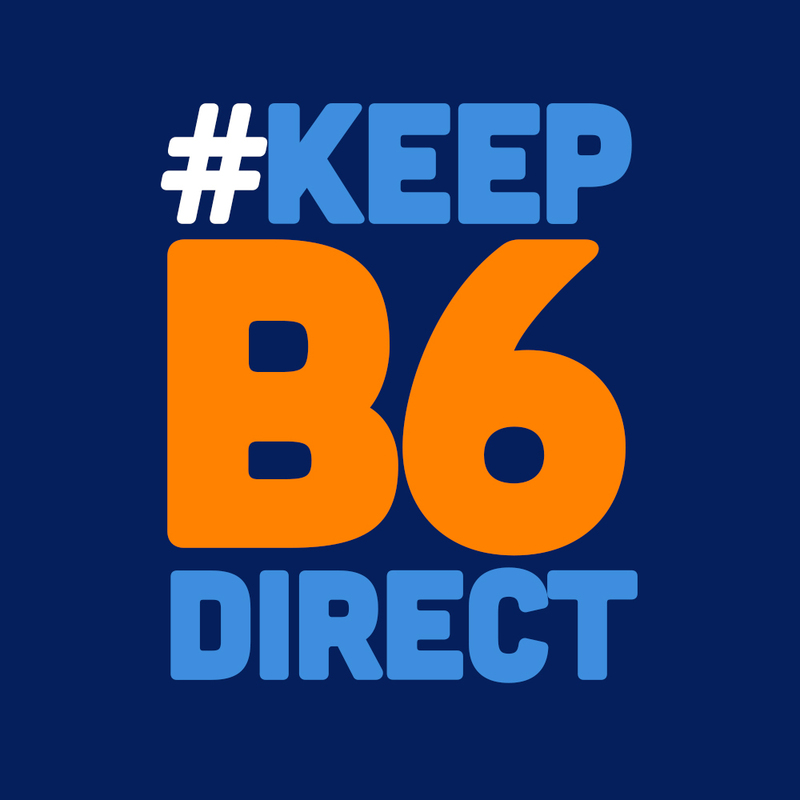 Keep B6 Direct. Keep our Culture. 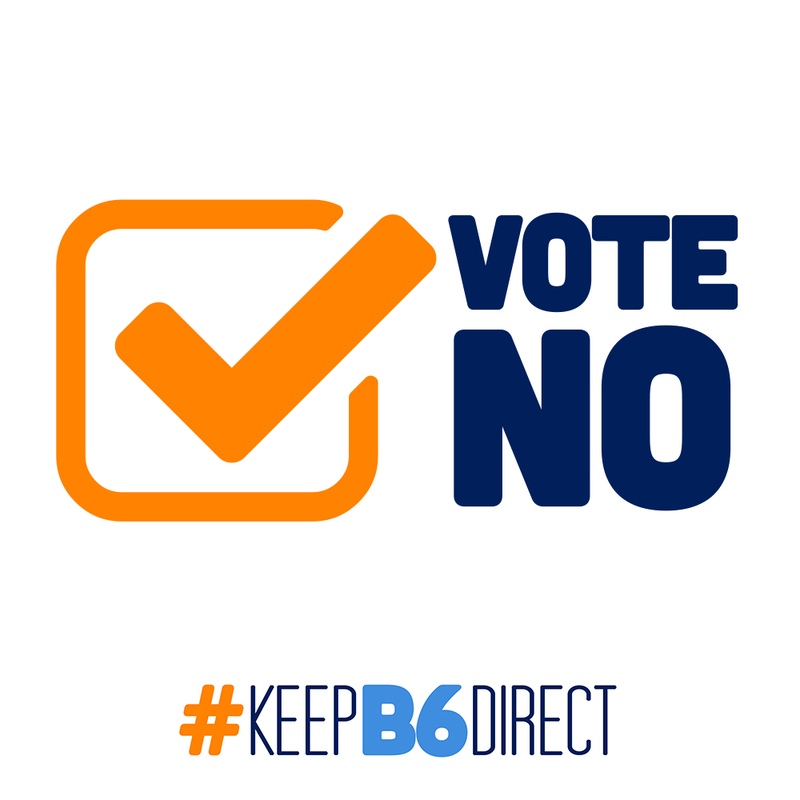 Keep B6 Direct. VOTE NO. Sign up to show your support, and receive email updates including news, events, campaigns and of course a reminder to cast your vote! This website has been created for Crewmembers, by Crewmembers in support of our Direct Relationship. We invite you to explore the facts, review our research, watch testimonials and more. 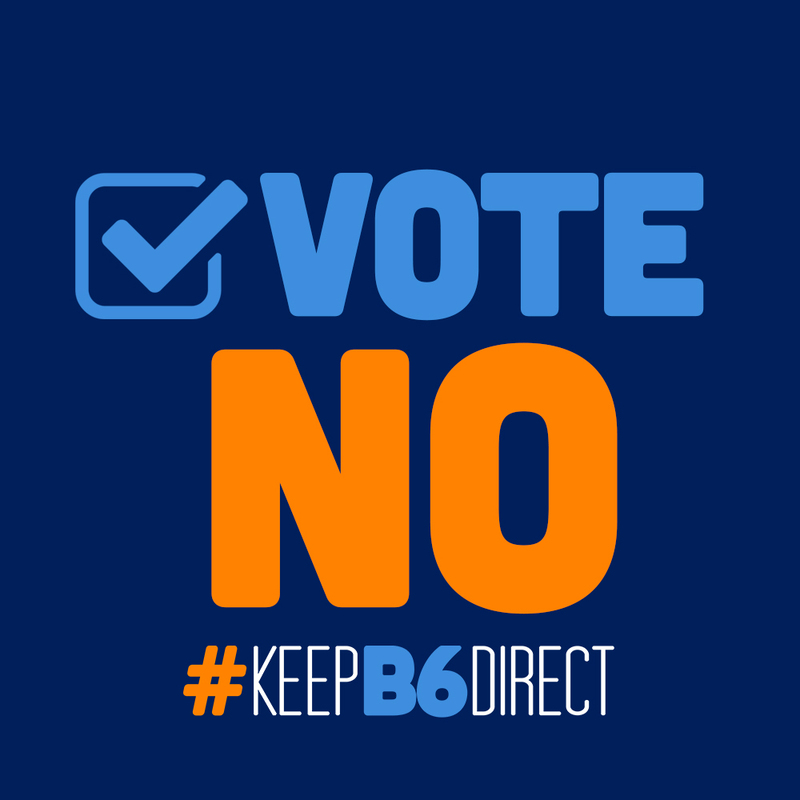 Do your due diligence before you vote, and VOTE NO to #KeepB6Direct. We have extensive influence and a “seat at the table” already. Learn about the committees & programs that allow us to be active participants & hold influence over our own work rules, compensation, benefits & work environment. A majority of ONLY those who vote will determine this election. Take a closer look at how the election is calculated and why it is imperative that if you DO NOT WANT TWU, you need to VOTE NO. The reality is that while we have had a peer feedback system in place, it has been severely under-utilized by our peers. Find out how we can maximize our "seat at the table" moving upward. If TWU is elected, our working relationship with leadership and each other would change significantly. Here is a visual look at the difference in the voice we have with a Direct Relationship vs. with a union. We forecasted what the next five years COULD look like for a Crewmember, whether they choose to keep our Direct Relationship OR elect the TWU. 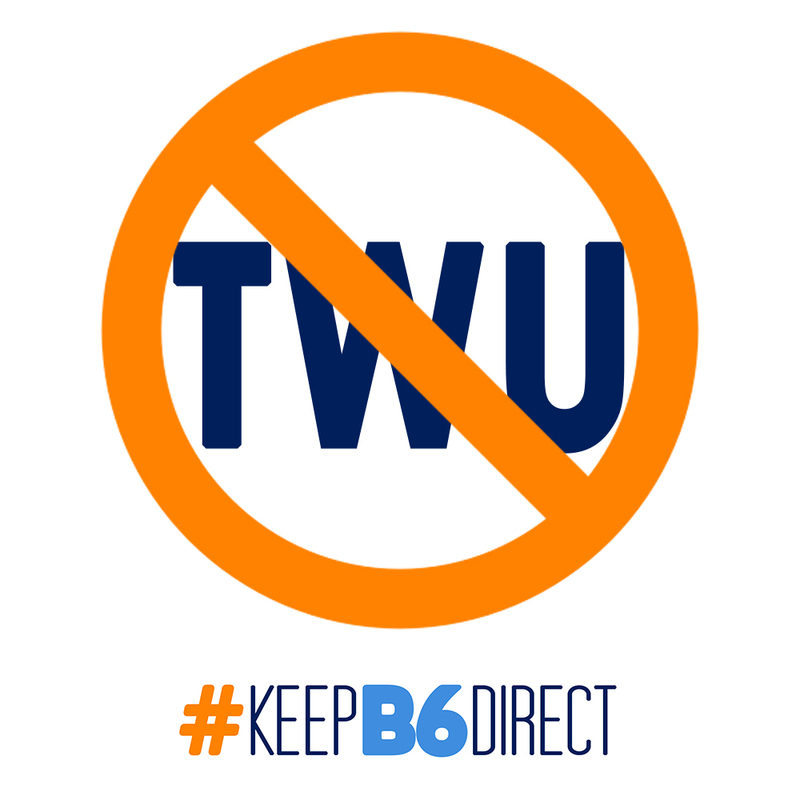 Find out what we learned on the "Town Hall" Conference Call with TWU on 1.31.18 in regards to why it took Allegiant 7 years of negotiations for their initial contract. You should take this seriously! Watch and share these video testimonials from fellow Crewmembers about how our direct relationship has been put to work in the past and how we can continue to keep our company small while we grow big! Our goal is to make sure you are equipped with the resources and due diligence to make an informed decision. We invite you to explore links to resources that will help you be informed. Check here for the latest updates on the election process. VOTING OPENS MARCH 19TH AT 0001 ET & CLOSES APRIL 17TH AT 1359 ET. EXCLUSIVE INTERVIEWS REVEAL THE SHOCKING REALITY OF TWU. In their words" "PAY ATTENTION!" Get the facts about TWU and find out why they matter. Get the truth about TWU Dues.